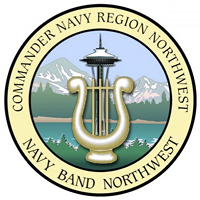 Below is a list of just a few events happening around the Kitsap Peninsula. To learn about more events taking place now and in the future, visit our Calendar page and click the dates (as shown in the graphic at the right) to choose a specific date or range of dates. Use the filters on the left side to find events for specifc activities. If you know about an event that you'd like to recommend, please send an email to . Enjoy this wonderful original music which is a blend of Latin, jazz and pop. Based on the Victor Hugo novel and songs from the Disney animated feature, The Hunchback of Notre Dame tells the story of Quasimodo, the deformed bell-ringer held captive by his devious caretaker, Frollo. Please join us at the beautiful Kiana Lodge on Agate Passage for a springtime evening rich with friendship, fun, great food, music and entertainment and our exciting, signature auction event. Non members suggested donation $10 per person. See our website for our list of great vendors. This event is for Pacific Northwest canoe, kayak, paddleboard and outrigger athletes and enthusiasts of all ages and levels and features paddle racing for kayaks, canoes, stand up and prone paddleboards, outriggers and para-canoes, and a community dragon boat competition. 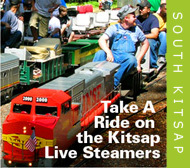 Kitsap Live Steamers, Inc. is a non-profit organization that gives rides on its miniature railroad on a donation basis. Our purpose is to maintain and improve our railroad so that we may share this enjoyable experience with train lovers of all ages. 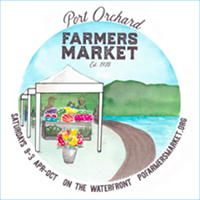 Opening Day of the Port Orchard Farmers Market's 40th Anniversary Season! As this is also the 2nd Saturday of the Month, its also a Super Sprouts Day. Sprouts is the Market's Kida club, stop by the Market Booth for more info. Super Sprouts Days will have events and activities for our kids club. The market showcases locally produced foodstuffs and artisan items. There is a live music stage with performances taking place from April through October. 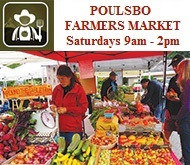 The market keeps local dollars in Kitsap County and helps sustain local farms and businesses. Our Funk Band will be in concert at the Keyport Auditorium. The Bremerton Community Farmers Market is a fabulously welcoming and bustling market tucked among the trees and beside the sea at Evergreen-Rotary Park. Each Thursday from May to October we offer a market bursting with great vendors, music, educational opportunities, kids’ activities, and more. 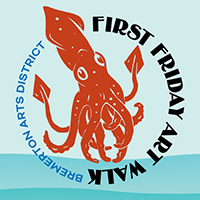 Join us Downtown Winslow for an evening of art, food, and friends! Back by popular demand! Join us on Cinco de Mayo weekend for a fantastic clap-a-long, sing-a-long, great time. This one of a kind show will sell out once again, so be sure to get your tickets soon! Join us for shopping and dining. Our talented students light up the stage, playing classical and jazz selections, led by Music Director Tigran Arakelyan and Jazz Director Derick Polk. All seats $10. Relax in the Garden House and enjoy an afternoon tea featuring a delectable assortment of savories, sweets and teas. Seating is limited to 24 guests. The Kitsap Wedding Tour Is a fun and modern way to plan your dream wedding by exploring many of Kitsap's beautiful wedding locations and meeting wedding professionals while In their element all in one day! 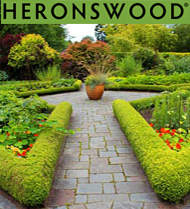 It is a self-guided tour that allows you to explore a variety of venues with unique amenities. Click here for more listings and to search by dates.